What if Apple's Magic act is just the beginning? If they make that trackpad any bigger, they could fit a whole computer in there. It might have been tame when compared to some of its other announcements this fall, but Apple last week still managed to generate a little buzz around a relatively dull product category: input devices. In one fell swoop it updated its entire line of Mac accessories for the first time in years, sporting built-in rechargeable batteries and the latest technologies. While they were certainly overdue for a refresh, it was still a surprising move. Mac sales are only a fraction of Apple’s quarterly revenue, and the vast majority of Macs sold are notebooks. Apple doesn’t break down its sales by model, but based on industry trends it likely sells less than 2 million desktops per quarter, barely enough to encapsulate more than a rounding error on its balance sheet. But Apple clearly spent considerable time and resources on its new accessory lineup. They’re impressive devices, but after an initial flurry of sales to diehards, they’re not going to make much noise at all, and since we probably won’t see another upgrade until the Apple Car makes its appearance, you could wonder why Apple bothered at all. But it’s not about what they can do today; I think Apple has something much bigger in store for its Magic devices—and it has very little to do with pointing and clicking. While the rest of the industry is obsessively trying to merge the mobile and PC worlds into a super device, Apple has thus far committed to keeping OS X and iOS separate. Tim Cook has declared as such in very plain English, but even if you don’t want to believe him, Apple’s new family of accessories—not to mention the iPad Pro and Apple Pencil—should be concrete proof. There may indeed be a hybrid Mac prototype on one of the shelves in Jony Ive’s laboratory, but we’re not about to see it anytime soon. Don't laugh—speed charging over Lightning is a feature we want to see everywhere. But there’s a definite overlap. OS X has been taking design cues from iOS for years, and the similarities are more than skin deep. Each of Apple’s new input devices take a page from iOS–Force Touch on the trackpad, multitouch on the mouse and a very travel-friendly keyboard–but the most intriguing thing of all is how they charge. Apple has kindly dispensed with the need for AAs by putting a lithium-ion battery inside each of the devices, but when you charge them for the first time you’ll might be surprised to find a very iOS-centric Lightning port. Magic Mouse, trackpad and keyboard are the first non-iOS devices to use the charging technology (along with Apple Pencil and the new Apple TV’s remote, which will go on sale later this month), and it could hold the key to the battery breakthrough we’ve been anxiously waiting for. You can quibble over how the Magic Mouse 2 needs to be turned on its side to properly charge, but no one will complain about getting 8–9 hours of battery life out of a 2-minute charge. A full charge (2 hours) will net you a month, and it’s exciting to think how this technology could make its way into the iPhone next year. All-day battery life has always been an issue with the Apple’s smartphone, but the ability to squeeze an extra few hours out of a short charge could be a game-changer. Back in 2004, the notion of a so-called headless Mac (at least one that didn’t cost thousands of dollars) was something of a pipe dream. 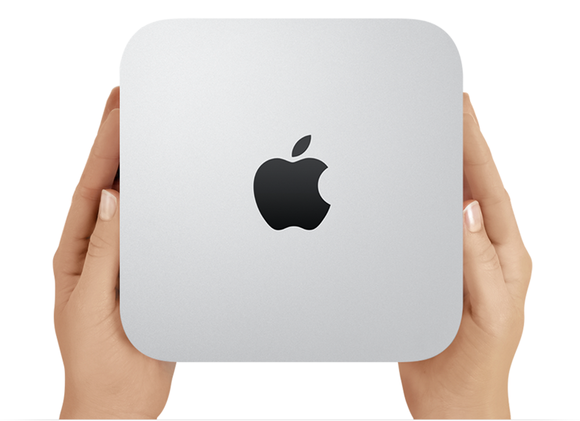 The launch of the Mac mini shifted the landscape, introducing a Mac that was not only affordable, but also the most versatile computer Apple had ever released. But while Apple’s Mac mini has seemingly hit a wall of indifference in its evolution, the miniaturization of the logic board has steadily progressed. The new MacBook features a remarkably small logic board that measures less than five inches yet is still able to power a 12-inch display and run a full desktop operating system. And the iPhone 6s is just as powerful, despite sporting a logic board designed to fit inside a much smaller case. The Mac mini—you know, the portable Mac that isn't a laptop—started Apple on a trend of designing smaller and smaller boards. Apple’s proprietary ARM processors have been slowly gaining on their Intel counterparts, but with the A9 chip, they’ve finally reached a degree of parity. In fact, the iPhone 6s actually outperforms the entry-level MacBook, raising the specter of an ARM-powered Mac in the not-too-distant future. But while the idea of an A10 or A11 MacBook is certainly intriguing—-giving Apple the ability to optimize OS X performance like never before—-the next step for the Mac might be a bit more, shall we say, magical. There may never be a hybrid device that can run OS X and iOS side by side, but that’s not to say they won’t converge at some point. As iOS matures it seems somewhat inevitable that it will meet OS X at some point in the future, both in terms of its own performance and the power of the devices that run it. 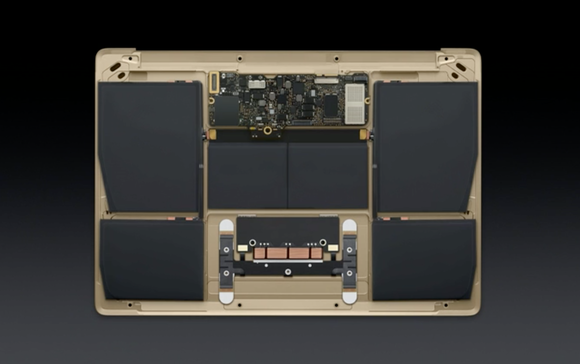 What if the compact internals of a MacBook could be reengineered to fit inside the Magic Trackpad 3? When Tim Cook pooh-poohs the notion of a hybrid Mac, I think he’s bring purposefully obtuse. Apple understands better than anyone that the future of computing is more aligned with iOS than OS X, but it’s content to let it happen gradually rather than force the issue. Instead of releasing a hybrid device that cuts corners and isn’t quite ready for prime time, Apple is taking baby steps to prepare its devices for the day when a single OS runs on all of them, with responsive apps smart enough to know where they’re running. The iPad Pro is a step forward to that end, but so are Apple’s newest accessories. Apple has an obsessive drive toward making its devices as light and thin as possible, and it could be on the verge of making a device that’s insanely small without sacrificing too much of its power. 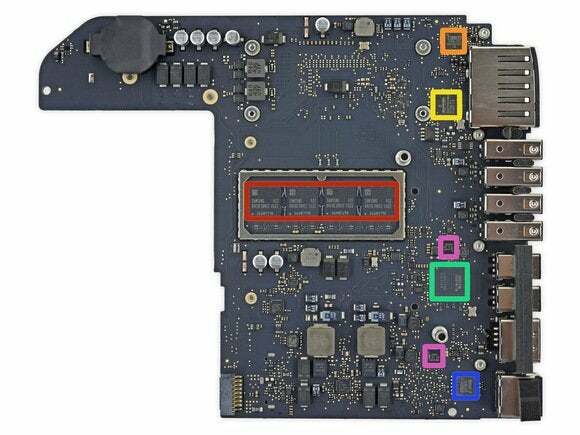 As it stands, a MacBook logic board could actually fit inside the Magic Trackpad, and, well, you don’t have to be a Silicon Valley visionary to imagine the possibilities there. When you think about it, the iPhone is essentially a trackpad with a computer built into it, and there’s no reason to think Apple couldn’t do the same with the Mac. With AirPlay, Bluetooth, and quick charging, future Macs could be as portable as the iPhone, offering a ultra portable experience that could use whatever screen is closest to project a full version of OS X (or whatever it’s called by that point). And if it’s built into a trackpad, the input device and the PC would be a single enclosure, much like the iPhone. Imagine a headless Mac you could cover with one hand. In all likelihood, the next generation of Apple’s OS will be more akin to Google’s Chrome than anything Microsoft is doing. An iCloud-based OS would give Apple the flexibility to create a series of “thin” clients that are ultra portable, always connected and synced with each other. By moving the heavy lifting to the cloud, a future Mac could easily be the size of a trackpad, making the Mac mini seem like an overweight dinosaur by comparison. And a universal OS that seamlessly switches between mobile and desktop apps would be a far better thing than a hybrid laptop or a touchscreen iMac. You might even call it magical.